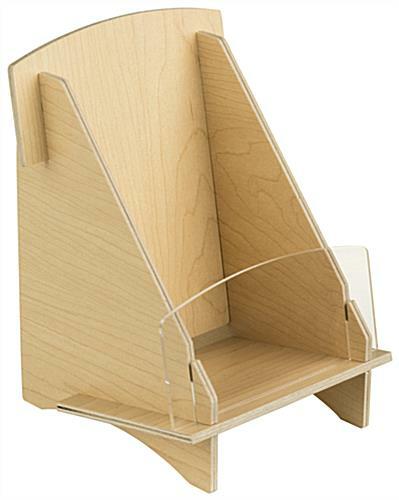 This collapsible plywood trifold display is a simple yet effective marketing tool for retail showrooms and offices. 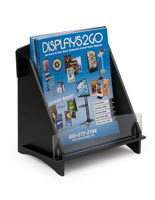 This brochure holder with a 4" x 9" pocket stores and dispenses literature, and a clear front piece enables full views of the items stored. 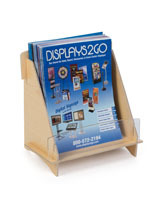 This plywood trifold display for trade shows has a natural melamine finish on weedtree ply and aspen lumber core. 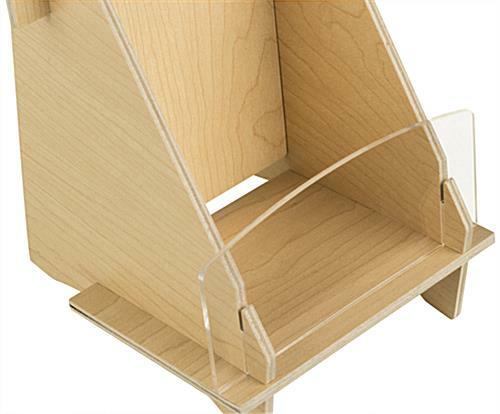 Place this literature stand on a countertop or desk. 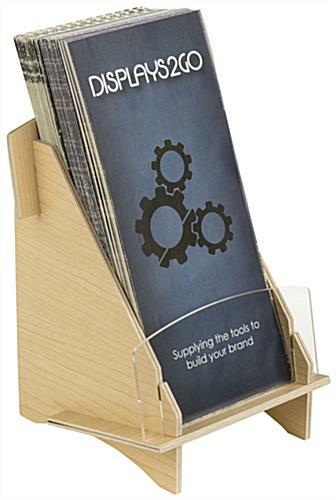 This trifold display, pamphlet rack, has a simple design and lightweight construction that shows off smaller promotional publications. Great for trade show use, this unit easily knocks down for storage by dismantling its interlocking panels. Note to Customer: Use a rubber mallet to assemble and disassemble. 5.6" x 7.9" x 5.8"
4.0" x 7.3" x 3.4"